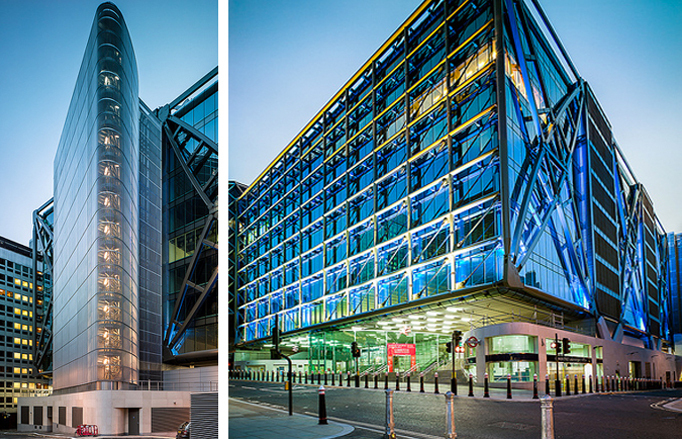 Our involvement in this interesting and challenging project, an eight-storey office building over Cannon Street Railway Station, began in 2004, when we were appointed by Foggo Associates, on behalf of the client, to carry out initial investigations in the southern part of the site, the only part that was accessible at that time. We drilled two boreholes using a low headroom drilling rig, to about 40 m, and used a range of other techniques to profile the shallow soils and to enable archaeological investigations to be carried out, including window sampling and extensive hand excavated trial pitting. We returned to site to in 2006 to carry out additional work in the northern part of the site. As part of this investigation, two rotary boreholes were drilled alongside existing underreamed piles, to allow coring to be carried out through the existing underreams as a means of corroborating their locations. Two further boreholes were also drilled using a low headroom cable percussion drilling rig, again to depths of about 40 m. In addition, extensometers and vibrating wire piezometers were installed to allow heave movements as a result of unloading due to demolition of the existing structure to be predicted. As well as the technical challenges, as all of the work in the second phase was carried out within a car park we needed to design all of the work to be carried out within the main contractor's health and safety protocols, with detailed risk assessment and method statements being provided to demonstrate that none of our work would impact upon the use of the site and the operation of the busy mainline railway station. Our report pulled together the various and complex elements of the investigations into a single document and including recommendations for piled foundations and predictions of possible ground movements. 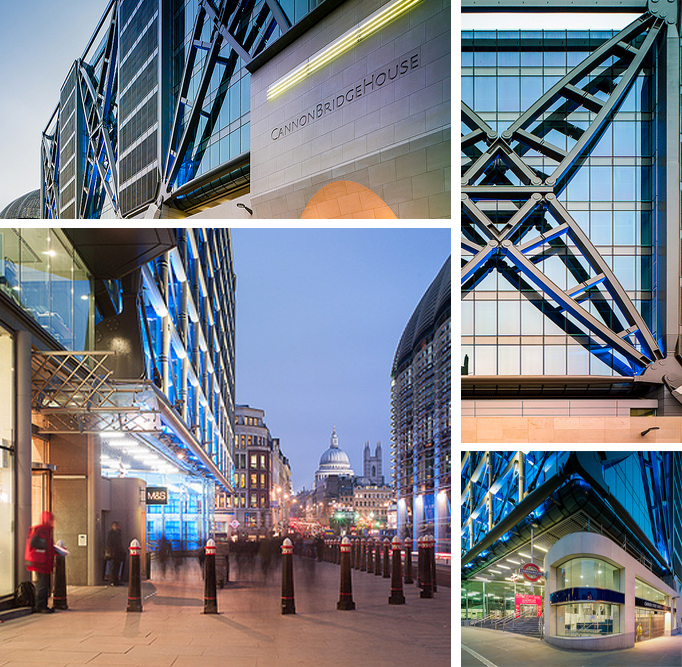 The building, designed and engineered by Foggo Associates, was completed in 2012.